Source: North County Times: Oceanside Unified School District officials closed a play structure at Palmquist Elementary School on Wednesday, saying they need to study whether changes should be made to the equipment where 14 students have broken their arms since 2007. The move came three days after the North County Times published an article about the spate of injuries and the district’s response to them. Oceanside Unified had closed the structure for about a month in late 2009 to study its safety and re-opened it after deciding to restrict access to smaller children. Since then, five more students have broken their arms, including two so far this school year, the Times reported. Far more students have broken bones at Palmquist than at any other district elementary school. Most of the injuries happened after school. A nationwide study has just launched in San Diego and Oceanside, specifically large parts of Fire Mountain will be included in the study. The National Children’s Study is the largest longterm study of health and development ever conducted in the United States. The study recently held a meeting at the Oceanside El Corazon Senior Center. Look for more information on the National Children’s Study website. Yep, that’s right, Oceanside has interesting things going on in our city- look for more of these informative, fun, and even educational events posted right here in 2011. 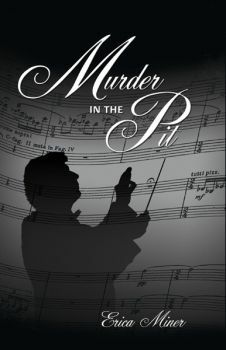 Erica Miner, award-winning author, screenwriter and lecturer, will talk about writing mystery novel and her latest book, Murder In the Pit, on Friday, February 4, at 2:00 p.m., at the Oceanside Senior Center, 455 Country Club Lane, Oceanside. For more information check the full press release- right here.